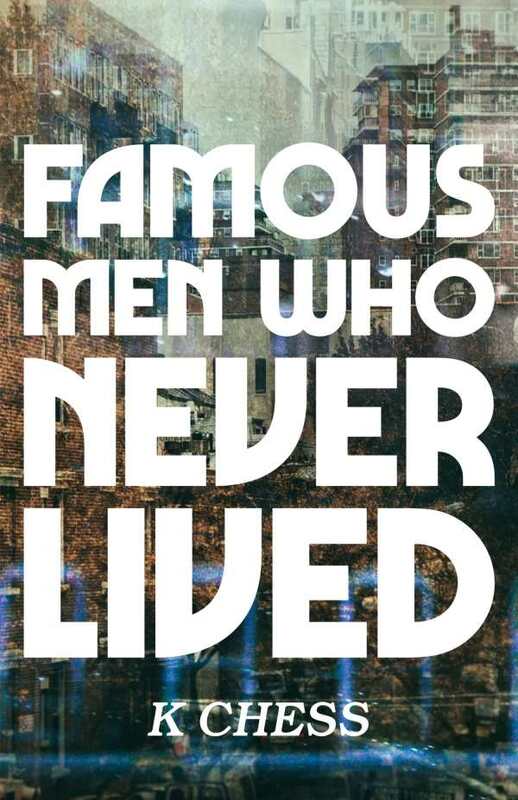 K Chess’s magnificent speculative novel Famous Men Who Never Lived straddles two among infinite worlds, “starting off the same and hurtling to two wholly different fates.” It is an awesome and humbling literary achievement. In the world that Hel, Vikram, and over two hundred thousand other universally displaced people left behind, nuclear explosions were impetus enough to step through a portal into the unknown. They found themselves in a world not terribly different from their own: active, troubled, and hostile to outsiders, though also alive with art and possibilities. In the two years that followed, some of the UDPs, like Vikram, adjusted, if as second-class citizens of reduced fortunes. As Vikram toils as a night guard, Hel—a specialized surgeon in her own world—lives off of government assistance and devours Vikram’s relics in search of peace, particularly novels by authors who were never authors in this strange new place. One such author, Ezra Sleight, may be the key to determining where the two timelines diverged, and it’s a possibility that consumes Hel’s hours. Chess’s pages are elegiac as much as they are inventive and hopeful. Our world, seen through UDP eyes, is a place of yawing holes—musical notes that never trilled; stories never told; beloved and important people whom fate carried into obscurity or oblivion. Her characters peek beneath the ripples in the multiverse, probing permeable dimensions for deeper truths. The text is triumphant, darkly humorous, and mournful by turns. All of Hel’s hungry actions conceal the unmourned loss of her son. Elsewhere, a resentful UDP takes to inventing customs to silence the always-here: where she’s from, she tells people, they carry cats everywhere, and drink blood, and slap corpses to be sure. People prove to be both credulous and awkward in the face of the unknowable. As its characters grasp for a concrete place to rest in a world that ever diverges from its set paths, Famous Men Who Never Lived is mesmerizing.